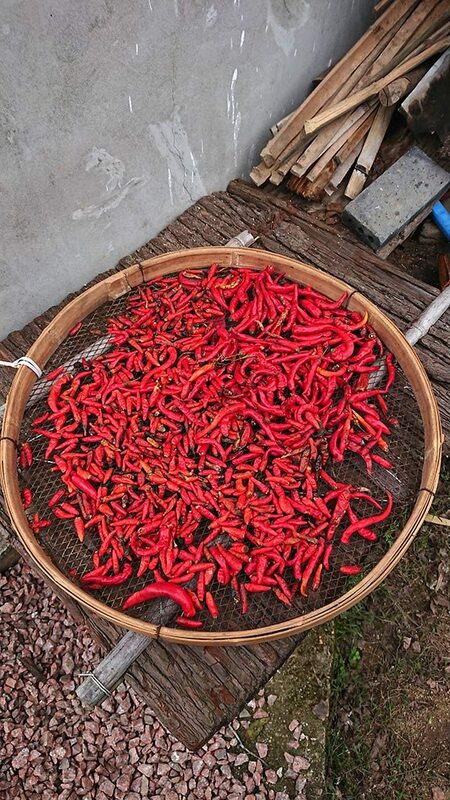 Zhuxi tree cultivation and harvest farm was established in 1957 as Zhuxi Agricultural Forest (wasteland cultivation) Farm, falling under the jurisdiction of the Agricultural Forestry Wasteland Cultivation Administration. In 1963, the tree farm’s jurisdiction was moved to the county forestry industry sub-department and was renamed Zhuxi Tree Farm. 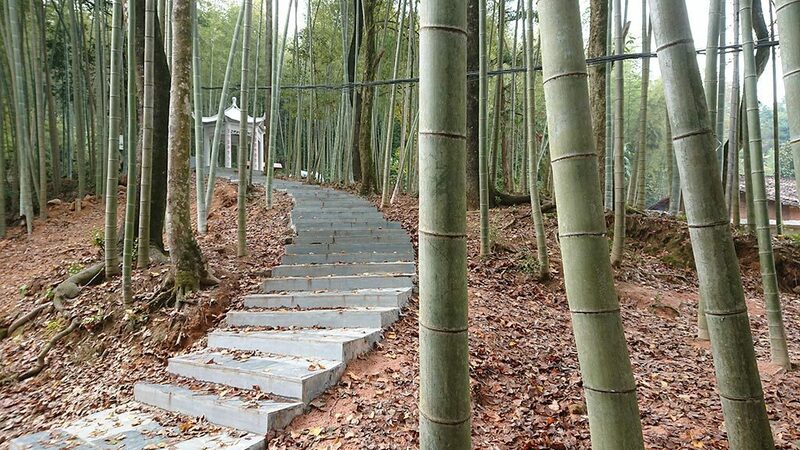 In 1964, the tree farm received 108 educated youths from Nanchang, 50 more the following year from Fuzhou. The tree farm was managed by the People’s Liberation Army: Fuzhou Military district, JiangXi Production and Construction Corps from 1969, and received around 330 educated youth, of which there were 44 students from Jinggangshan Communist University, 13 students from technical institutes, 9 former military officials, and 108 educated youth from Shanghai. From 1971, the tree farm’s jurisdiction was again taken over by the county as the Corps was abolished, and it has kept its name “Zhuxi tree cultivation and harvest farm” since 1973. In November 2006, the Chinese National Forestry Administration granted permission to establish the tree farm as “Jiangxi Qingliangshan National Forest Park”. 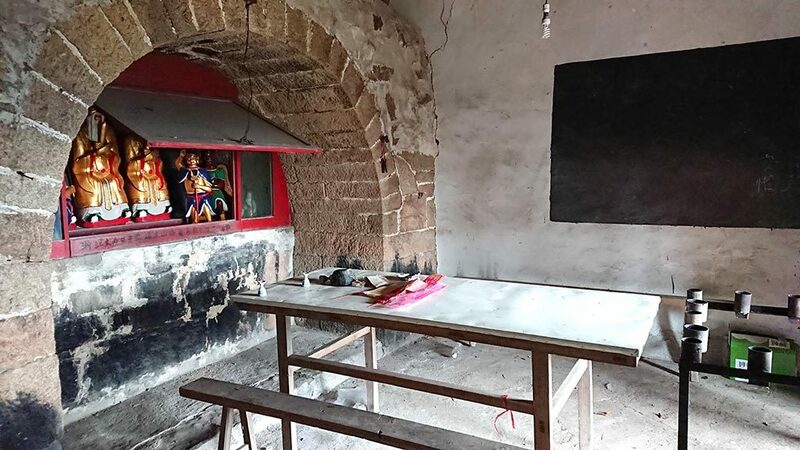 There are four administrative sections with one office, three work sections and two administrative villages, Shangzhuxi and Xiazhuxi, which comprise 13 smaller village groups. Qingliangshan National Forest Park (Zhuxi Tree Farm) is located in the south of Zixi county, Fuzhou city, Jiangxi Province. It covers the area between 27°28ʹ42ʺ—27°32ʹ56ʺ N, 116°54ʹ58ʺ—117°00ʹ35ʺ E. The tree farm borders with Lichuan county to the southeast, with Nancheng county to the southwest, and with Wushi county to the north. It covers 42 km2, of which around 40 km2 are forest (nationally-owned: 28 km2, collectively-owned: 12 km2), and around 0.9 km2 are farm land. The tree farm is located 30 km from Zixi county town and can be reached via the S205 from the county town. Access from the national highway can be made through the county town. Fuzhou Railway station and Nancheng Railway station are the two closest high speed train stations; a single journey between the farm and Nancheng station takes about 2 hours. The Qingliangshan region has a typical humid subtropical climate with a mild temperature, abundant rainfall, clear definition of seasons, long winters (122 days on average) and summers (137 days on average), short springs and autumns (both 53 days). 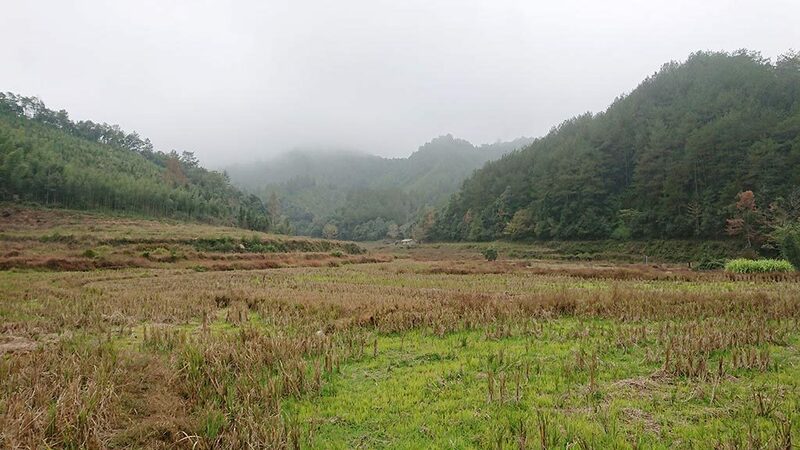 According to Zixi county meteorological station’s records, the region sees an annual average temperature of 17 °C, 5 °C on average in January and 27 °C in July’s. There are 260 days in a year without frost. Annual solar radiation registers 110.697 kcal/cm2 (around 1286.7 kw/m2), and average sunshine registers 1596.7 hours, comprising 36% of daytime. The average humidity is 83%; May usually registers the highest level in a year, while January sees the lowest. Annual rainfall is 1921 mm and is more concentrated between April and June, which sees 47% of rainfall for the whole year. The monsoon season starts around 9th of April and ends around 6th of July. From November to the January of the next year, there is little rainfall, around 63.6 mm a month on average. Qingliangshan is located in the middle part of Wuyi mountain range. As the higher the land, the more rainfall it receives, the area receives quite a lot of rain throughout the year. The average annual snowfall totals 6 days, with an average of 6 cm. The Qingliangshan region has many low-to-middle mountains (up to 3500m). Hills or plateaus are an exception. Its geomorphological character can be described in the following way: surrounded by mountain ranges on all sides and with protuberant parts in the middle, resulting in the formation of several canyons in the north, southeast, and southwest. Within Qingliangshan, the average altitude range lies between 300-800 m. Its highest mountain, Gourd Sheng rises to a height of 1100.3 m. On average, the northeast side is higher in altitude than the southwest, with some small flatlands in the middle. Granite Rocks formed in the Yanshanian period (between late Cretaceous and Jurassic periods) constitute the majority of Qingliangshan’s local strata, with some Granite formed during the JialiDong period (between the Cambrian and Silurian Period). Major minerals include orthoclase (K- feldspar), quartz, mica and a small amount of magnetite. Zhuxi River, a major river that flows through the Qingliangshan area, then south into Hongmen reservoir in Nancheng county, then down to merge into Fu River, is one of the five largest rivers in Jiangxi Province. In addition, there are two more reservoirs in the region: Wangshikeng reservoir made for the Zhuxi hydroelectric power station, which covers an area of 5040 m2 and contains 86000 m3 water and Chakeng reservoir, made for the Jiaming hydroelectric station with an area of 9760 m2, and 145000 m3 of water. Qingliangshan is located within the subtropical zone, and its mild climate and abundant rainfall nourish a rich forest, which includes diverse plant types, the majority of which are broadleaf evergreens. The forest park rises around 800 m, and its vegetation can be characterized vertically in four segments: below 300m in altitude sees plants from Fagaceae (beech), Hamamelidaceae, Myricaceae, Theaceae, and Orchidaceae (Orchid). Between 300m-800m in altitude, the forest includes broadleaf evergreens, such as Fagaceae (beech), Lauraceae, Aquifoliaceae, Elaeaocarpaceae and Coniferous families, mostly the Pine Family and Taxaceae. There are bushes such as Theaceae, the Heath family, the Verbena family, Rose family, and Myrsinaceae. There are also herbaceous plants like Poaceae, Sedge family, Daisy family, Borage family, Mint family, Umbellifers, and Pteridophytes. The groundcover comprises bryophyte (moss) and lichen. Areas between 800-1000m are covered by trees such as Alnus japonica (East Asian alder), Quercus fabrei (Faber’s oak), Liquidambar formosana (Chinese sweet gum), and Castanea henryi (Chinese chinkapin); bushes such as Cornus kousa, Indian sandalwood, Euscaphis japonica; herbs such as Chinese silver grass, Miscanthus floridulus (the same family as silver grass), Alpinia (ginger family), Goji-Cibotii Rhizoma, Asteroideae (daisy family). In some parts, some special Chinese native species such as Huangshan pine, Keteleeria cyclolepis (pine family) can be seen mixed with Fagaceae (beech). 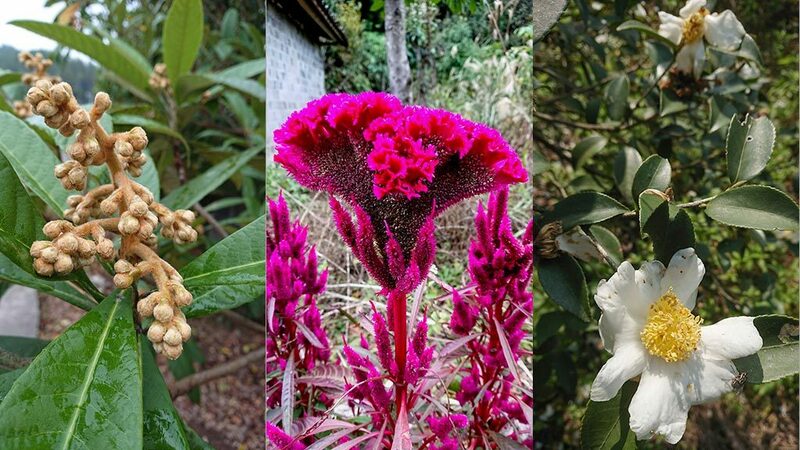 Above 1000m, there are mainly bushes such as Faber’s oak, Ericaceae, Theaceae (Camellia), Anacardiaceae (Cashew family), and the Rose family in addition to some members of the silver grass family, moss, and lichen. The forest park has abundant vegetation both in quantity and diversity, together with the mild climate, creating a perfect environment for wild animals. According to research, 33 protected species have been identified in the park, including level 1 protected species: golden eagle, Elliot’s pheasant, cabot’s tragopan, clouded leopard, leopard, hairy-fronted muntjac, South China tiger; level 2 protected species: Indian bullfrog, andrias (Chinese giant salamander), lesser coucal (cuckoo), Mandarin duck, African grass owl, short-eared owl, Asian barred owlet, collared scops owl, collared owlet, pied falconet, Chinese sparrowhawk, Besra sparrowhawk, common buzzard, common kestrel, golden pheasant, silver pheasant, koklass pheasant, macaque (old world monkeys), pangolin, dhole, otter, large Indian civet, water deer, sambar deer, Sumatran serow, Himalayan goral. Several species can be spotted regularly in the park: golden eagle, pangolin, owl, masked palm civet, Deinagkistrodon (viper). Species such as pangolin, dhole, large Indian civet, clouded leopard, wild boar, hedgehog, and porcupine usually inhabit the regions where there are mixed conifers and broad-leaf trees. They also can be found in moso bamboo forest. Most birds inhabit hilly regions with mixed conifers, broadleaf forest, in open fields and water areas. Amphibians (such as salamander) are often found at the periphery of forest, in open fields, and near water. Reptiles usually dwell amongst the bushes, in open fields, and along the streams. 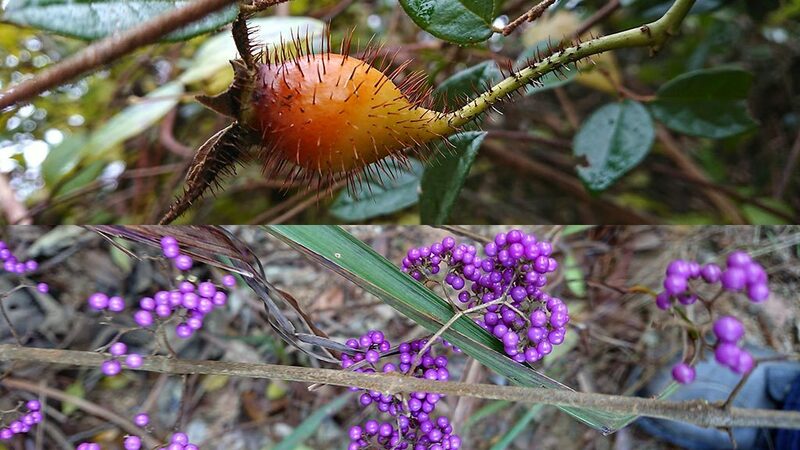 Foraging in Qingliangshan forest park can be very revealing. For example, there are many wild Chinese bayberry trees that can produce more than 20,000 kg of bayberries a year. Locals pick the best berries to infuse with rice wine, and the result is called shaojiu yangmei (distilled liquor infused with bayberry). Zhugu mushroom is a unique produce of the forest, growing wild in areas where there are fallen leaves from castanopsis sclerophylla (a tree in the genus Castanopsis/chinkapin, with seeds of a similar shape to chestnut). Zhugu mushroom can grow in every season, but most rapidly during September and October. So far there has not been any attempt at manual cultivation, but it has a very high nutrition factor, including high protein, fat, and sugar content. It has a tender texture and refreshing aroma, and, when cooked, can add both umami and texture contrast to a dish. Lastly, there are a large number of Castanopsis tibetana Hance trees in the park, producing tens of thousands of kilograms of chinkapin nuts every autumn. These nuts are very tasty and nutritious. The main means of transport within the park are by car and by foot. There are two types of sand-gravel roadways in the park: 3.5-6.5 m wide main road and 2-3.5 m wide secondary road. There are 23.14 km of main road and 128.5 secondary road in total. 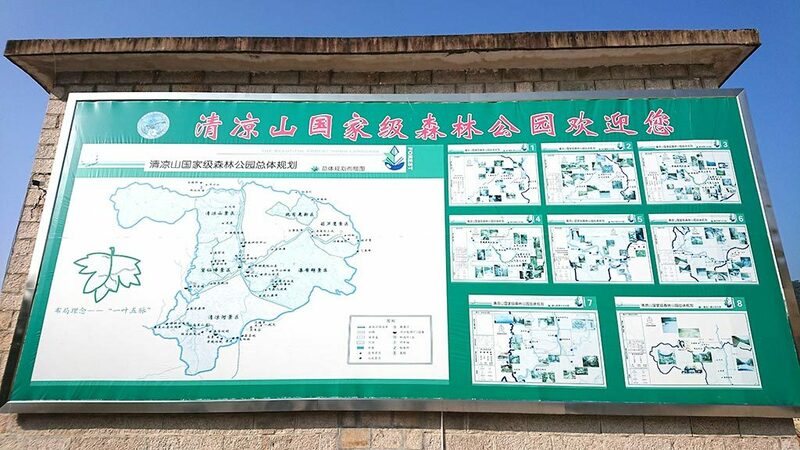 Zixi county electricity company provides the electricity for the park with a 99.8% reliability rate, and there are two hydroelectric power plants in the vicinity, thus guaranteeing the power supply of the park. Zhuxi hydro power dam is located about 500 meters downstream from Gaoyang bridge. The dam stretches 4022 meters in length, and 12 meters in width, with an elevation of 10 meters, the altitude at the dam top reading 239.4 m. Zhuxi hydro plant has a generation power of 600 kilowatts, with three generators installed, and can produce electricity of around 1 million kWh per year. 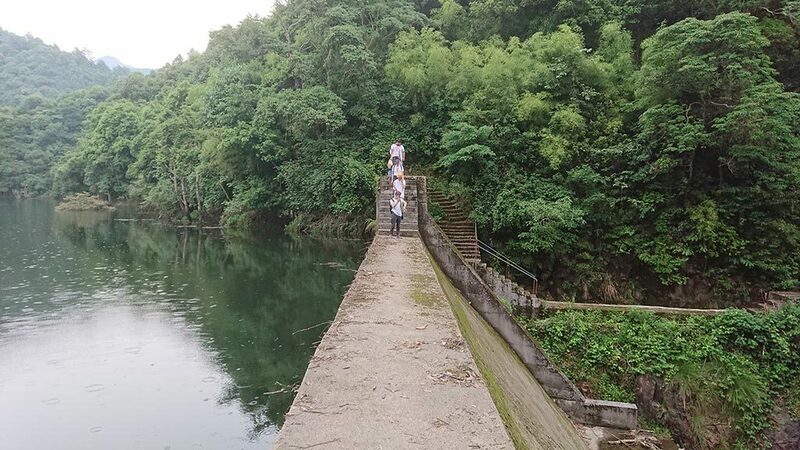 At the same time, following Zhuxi river, about 1 km downstream from “Qingliang” villa, stands Jiaming hydro power plant. It is 44.3 m in length, 7 m wide, and 10m high, with a top altitude of 193m above sea level. Jiaming power plant has generating power of 1000 kilowatts, 2 generators, and produces 3.6 million kWh electricity per year. The plant costs 5.12 million RMB. It is connected to generators further downstream through underwater tunnels. 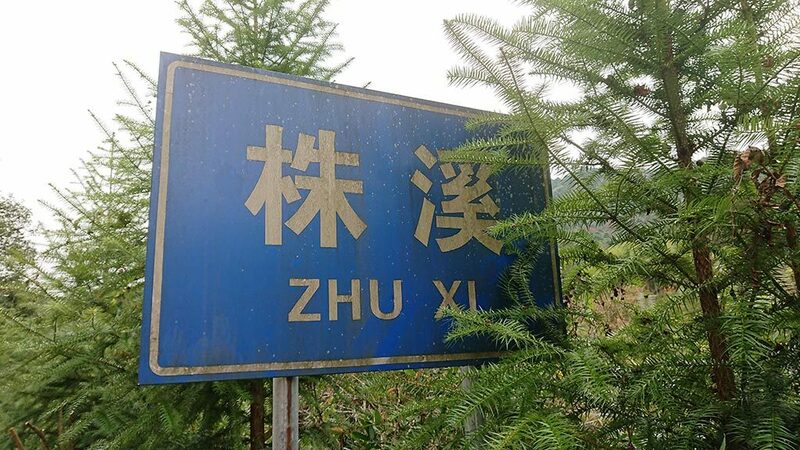 Zhuxi tree farm contains 38.73 km2 of forest (nationally-owned: 30 km2, collectively-owned: 8km2),and0.7km2 offarmland(nationally-owned:0.05km2,collectively-owned:0.65km2). There are 7.8 km2 of national level public welfare forest, and provincial level public welfare forests. The forests contain 416889 m3 of log material (nationally-owned: 309124 m3, collectively-owned: 107765 m3), it also has 132135 bamboo trees (nationally-owned: 123862, collectively-owned: 8273). 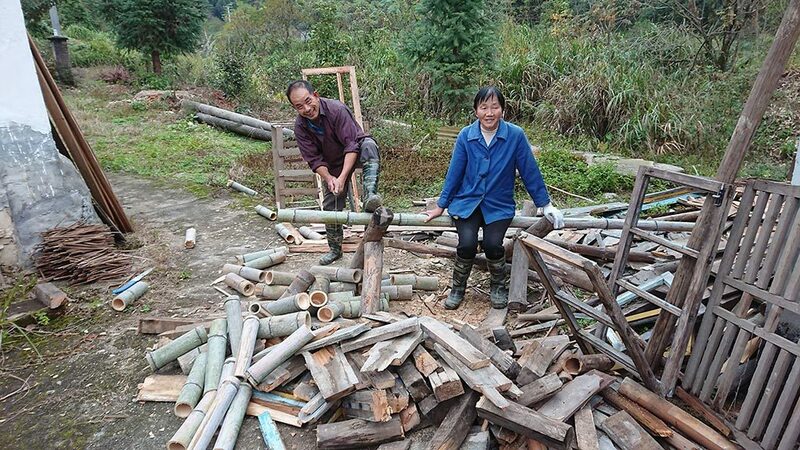 The tree farm has abundant forestry resources, but few dispersed farm lands, and thus the main economic contribution comes from secondary products of wood and bamboo. 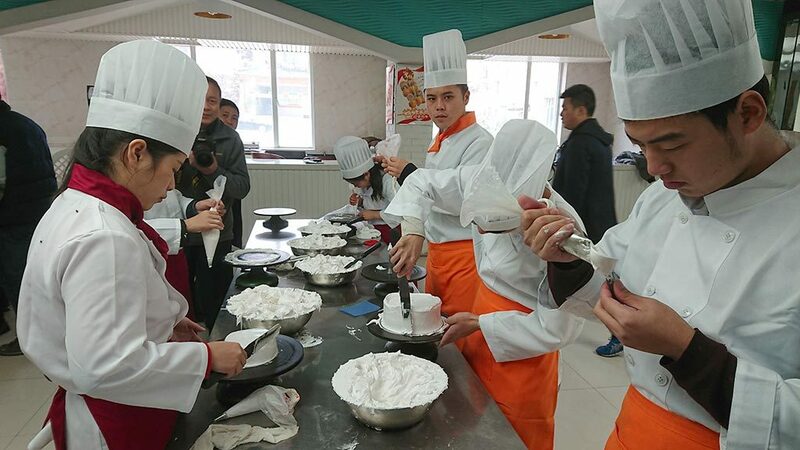 At the same time, since the Chinese economic reform, many people have left the farm to make a living in the bakery industry. 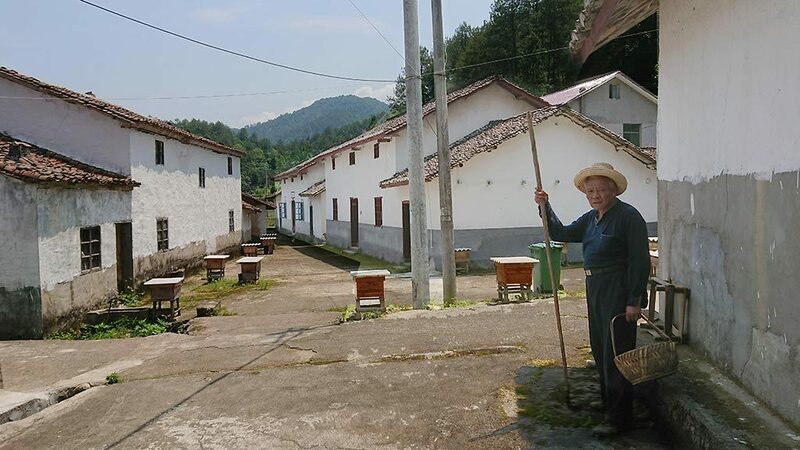 The remaining inhabitants have since adopted bee-keeping as the main source of income, while there are a few agricultural collectives operating in the area, also contributing to the economy. Zhuxi tree farm’s population is 1283 (1048 farmers), out of which 128 people are registered workers at the farm (30 of them are still working at the farm, the other 98 get their income elsewhere), and 101 retired workers. On the collective side, there are two villages, Shang Zhuxi and Xia Zhuxi, with 13 village groups, and 972 people in total. Shang Zhuxi has 87 households, with 395 people in total, and there are 140 households with 577 people in Xia Zhuxi. Huashan ancient trail: 2 km southeast from Zhuxi tree farm there is an open field, Huashan, which used to be the central location of Zhuxi. The national park sits at the border between Fujian province and Hubei province. Therefore this was a very important strategic location in ancient times, and many main roads were built throughout the region. During the Ming and Qing Dynasties, following the rise to fame of Longyin temple and Wangxianfeng temple, Zhuxi also entered a vibrant Buddhistic period. There was said to be one small temple every 5 li, and one larger temple every 10 li. The lively Buddhistic culture brought in numerous Buddhist monks and believers, thus contributing to the enrichment of the local economy. When at its peak, more than 10 thousand people were recorded as living in the region, just like any other important city at the time. The contemporary historical county records of Zhuxi only speak of Zhuxi but not of Luxi. Wealth and fame made possible the renovation of the many of the old main roads. According to historical records, the contemporary road connecting Nancheng, Luxi, and Fujian province passed through Zhuxi and later out of Jiangxi province. Because of many centuries of erosion, many roads have been badly damaged and are hard to identify; only the part between Zhuxi and Xikeng remains relatively intact, the Huashan trail being the best preserved part. The trail runs for 2 km upwards through the mountain. It is covered by tall trees on both sides. The stone arch bridge is also still standing to this day. Yimendi: On the West bank of Zhuxi river, at the foot of Qishengling (mountain), stand around 20 village houses. They curve around the river, lit up like a lantern at night. The village was built following the landscape, climbing up the mountain at three levels. The houses are at an equal distance from each other and are connected with broad stone panels. 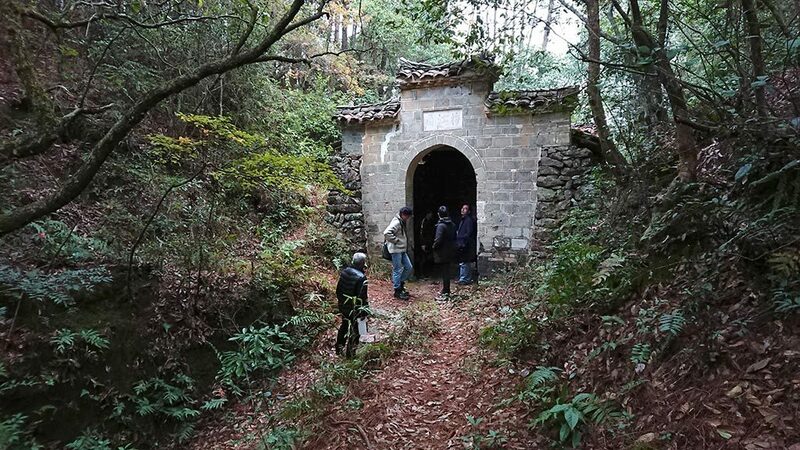 All stone roads lead to the central point, where once stood the ancestral shrine of Chen’s family. The gate faces south, with three big powerfully written characters above— “Yimendi”.To to the left of the gate there are four smaller characters—“Chenshi zongci (ancestral shrine of Chen’s family)”. It is rather unusual to place the title that signifies family lineage in a secondary position. And what is even more striking is that each family house has the same three letters —“Yimendi” hanging above their door. Jiangjia village: 1 km west of Xiajiashan valley in Zhuxi, stand about 10 village houses with wooden structures, earth walls, unglazed roof tiles and bamboo fences. They are scattered amongst the bamboos. 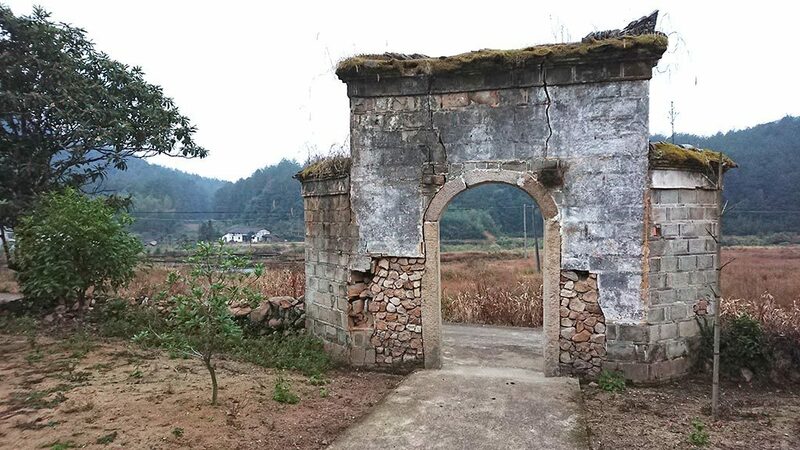 This is Jiangjia village, which has more than 400 years of history. A stone paneled road connects the village houses, and a majestic archway stands at the entrance of the village. It is 2m in width, 3m tall, all made of giant rocks. Two characters— “Tai gao” were engraved on the arch. Their contour has been smoothed down, indicating the passage of time. The surrounding walls of the archway are crumbling down, though still suggesting the former glory of the village. Wangxian temple: Wangxian temple is located at the west side of Zhuxi, around the foot of Wangxian mountain in an open field. The temple stands under an old cypress tree in the clearing. It has three floors, and a thousand year old sweet Osmanthus tree leans against the top floor. In the grand hall stand three giant statues of deities: Deity Qiu, Deity Wang and Deity Guo. They are made to look as if they have been carved by forces of nature, projecting beams of light out of those sharp eyes. The first floor houses different worship rooms with various Buddha statues. The main hall in the middle holds three golden goddesses: Goddess He, Goddess Ge, and Goddess Wan. They have kind facial structures and are dressed in silk drapery, and their eyes show affection. On the second floor there is an upward facing tiger statue: Chaotian Shi. A spring runs from behind the statue; it seems like it will never run dry. Each year around the first month and eighth month of the lunar calendar, although it is the dry season, the spring runs even faster, if the number of people coming to worship increases, and always provides enough water for the temple. The temple underwent serious damage, “destroying the Four Olds” during the cultural revolution, though some people still clandestinely visited the temple to worship at that time. In recent years, the temple was largely restored and renovated since it acquired the status of protected cultural institution. Each year around the first month and eighth month of the lunar calendar, many people come to worship.